W Verbier Luxury Ski Resort in the Swiss Alps. 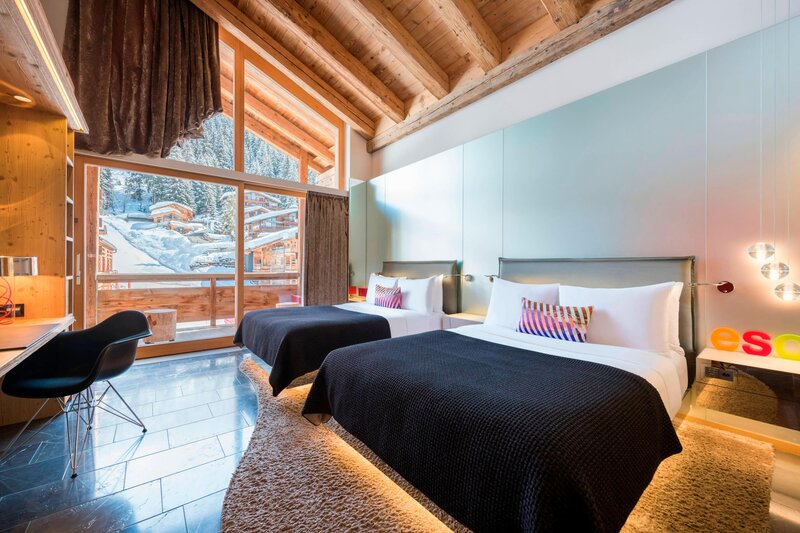 Perched at 1,531 meters with immediate access to over 400 km of skiing and hiking terrain, W Verbier Retreat mixes contemporary urban design with an alpine touch. The stylish 123 rooms and suites, each with fireplace, Signature W bed and private balcony are perfect for an intimate escape after an exhilarating day outside. Open all year-round, the hotel offers 6 restaurants and bars including the bistronomic W Kitchen and the exclusive Eat-Hola Tapas Bar, a relaxing escape in the Away® Spa and 300 square meters of flexible event space. 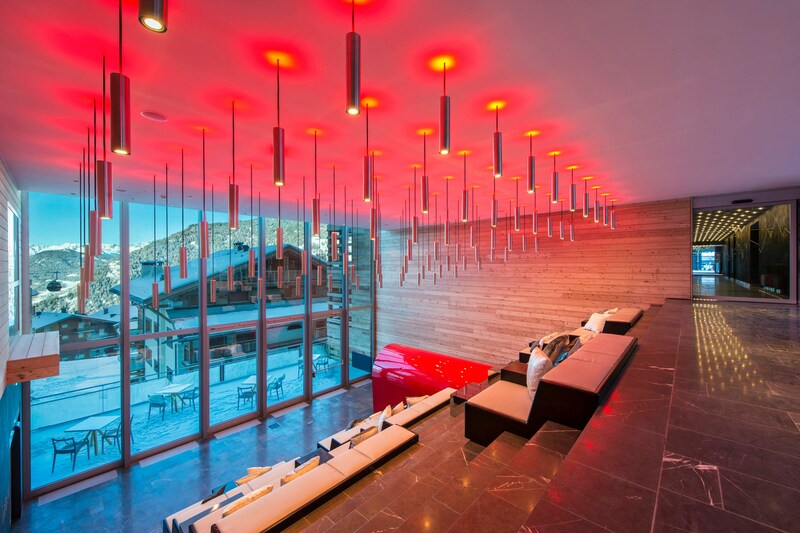 W Hotel Verbier steals the scene and offers everything under one roof. Whatever guests need to amp up their stay, all they need to do is ask. From the W Mountain Concierge, to the renowned and exclusive Whatever/Whenever service, W Verbier team is available to make it happen 24/7. 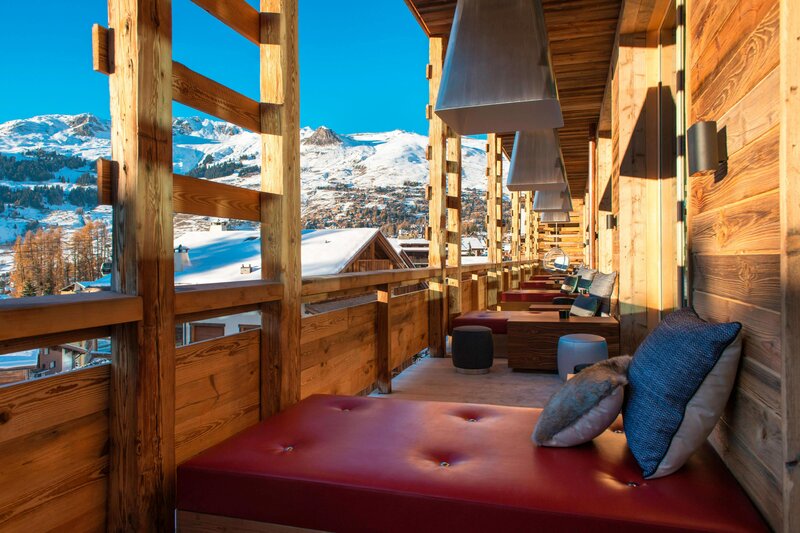 W Hotels’ first alpine escape offers a full slope side stylish experience. Action packed days mirror energy fueled nightsat this stunning Verbier ski resort, with ski in/ski out access. Perched at 1’531 meters, just steps away from the main Verbier ski lifts, W Verbier is open all year round and offers immediate access to more than 400 kilometers of ski, biking and hiking terrain. W Verbier invites you to Cross the line. Contrasting the town’s traditional facades with experimental influences and an energy-infused scene, it is an off-piste escape for thrill-seekers and scene-makers who convert their glacial days into hot nights, arriving at unconventional vantage points and carving a trail of unforgettable experiences along the way. Inspired by the dynamic carving of skis through snow, it brings an indelible, distinct New York City glamour to the Hotel Verbier in the heat of the Swiss Alps. 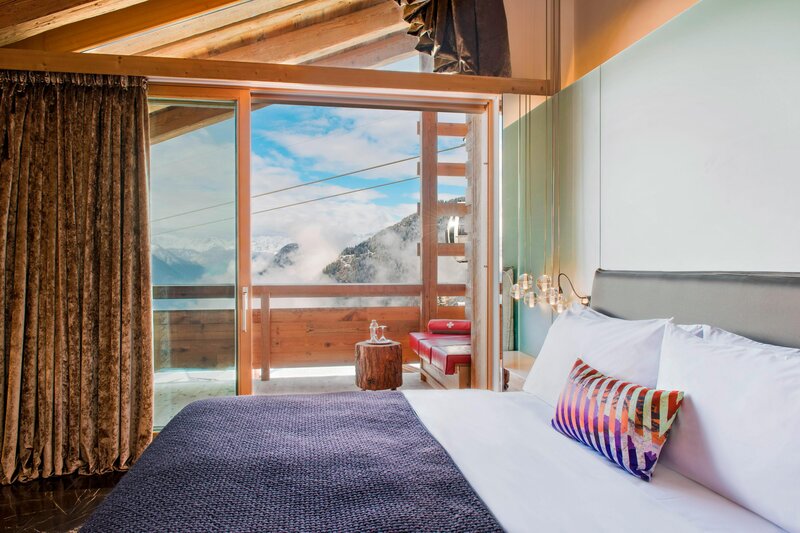 With 123 rooms & suites and 4 W Residences, each with signature W beds and balcony, many with panoramic vistas, W Hotel Verbier is a fabulous retreat from the everyday Verbier ski resort. The property features 123 stylish guest rooms, suites and W Residences, each with fireplace, Signature W bed and private balcony. The design is daring, local materials like wood and stone are fused with modern accent in a W Hotels’ style to create spaces that are spectacular to look at and divine to dream in. Stay fit even while you’re away. Access FIT® 24/7, with state–of–the art equipment, a private yoga room and modern spaces for stretching out and looking as good as you feel. Fuel your workout at Away Spa. Enjoy our workout programming to look good, feel good, go longer, stay later. Work up a sweat at FIT. From cutting-edge Technogym cardio and muscle-toning equipment to free weights, personal trainers, and yoga and pilates classes, our state-of-the-art gym will keep you in top form. Get away. Escape. Detox and refuel for whatever comes next at the Away Spa where 800 m² of peaceful retreat invite you to completely relax and indulge. Disappear into refreshing surroundings and let our experts take care of the rest. Take a dip in our indoor/outdoor W hotel swimming pool and let your stress float away. Whether you like to swim outside, or want to take the plunge indoors, W Verbier has you covered. Every Friday, Saturday & Sunday from 01/07 – 30/09 at The Beach @ Place Blanche. Morning yoga class with Wholey Cow, from 10 AM – 11 AM. For the most refreshing signature cocktails, or a glamorous night out, Verbier is the ultimate après-ski locale. Stop by W Living Room anytime. Located a few steps down from the hotel’s welcome pods, our bold lounge infuses traditional Swiss chalet life with the hotel’s trademark glamour. 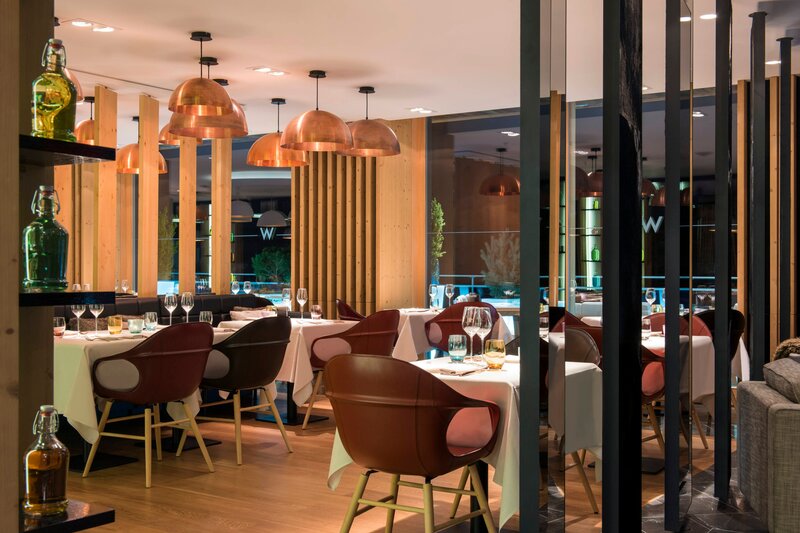 Indulge in a visionary meal at W Kitchen, our signature restaurant. The restaurant’s seasonal menu is similarly creative and colorful. 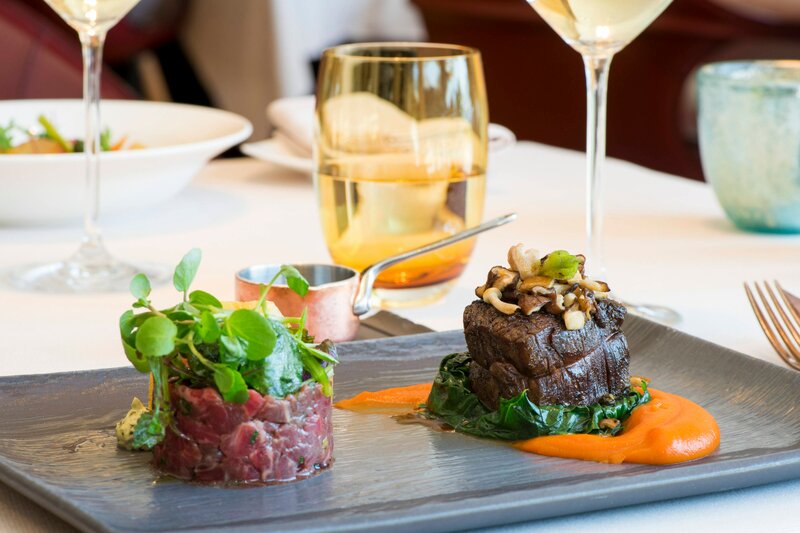 Showcasing local flavors, it combines the freshest seasonal ingredients sourced nearby in the sunny heart of the Swiss Alps with executive chef Torsten Sallstrom’s trademark creativity. 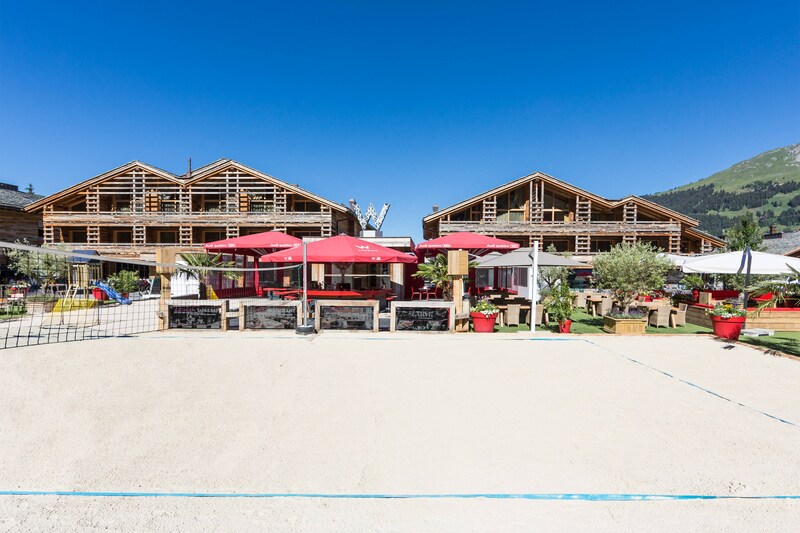 Imagine a white sandy beach with a cool lounge atmosphere surrounded by unparalleled views of the Swiss Alps and pulsating DJ beats. 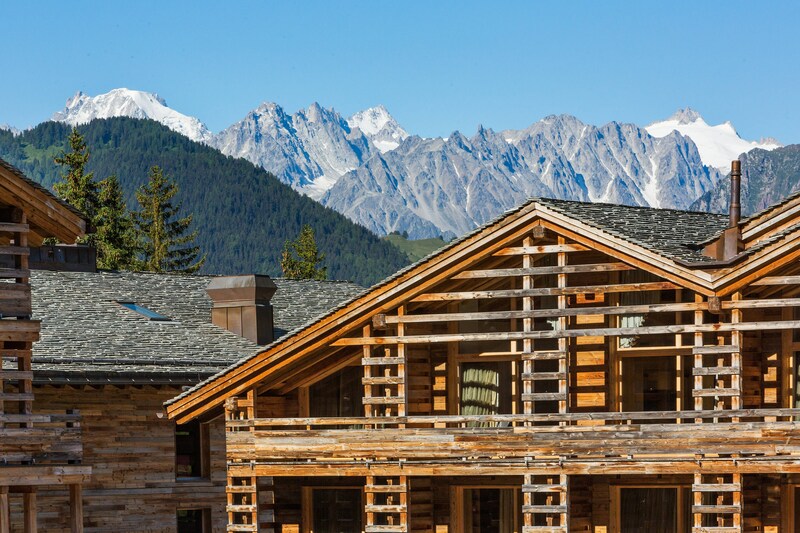 Verbier is a fabulous summer destination to uncover. Active sport enthusiasts, beach fans and music lovers will not miss the hot summer program taking place from mid-June until the end of September. The Beach is the center–stage for thrill–seeking mountain enthusiasts and a hot spot to detox, retox and repeat. Feel the adrenaline of Europe’s most exciting slopes, electrifying vistas and glamorous nights. Centred around Place Blanche at the foot of the slopes, W Verbier injects a new style and energy into the new pulsating heart of our village. 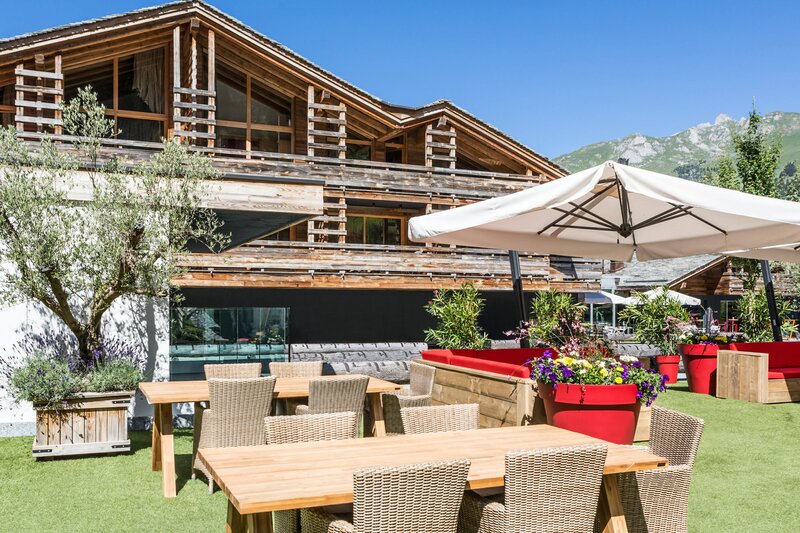 Action packed days mirror energy fuelled nights at this stunning Verbier ski resort, one of only five hotels in Verbier with ski in/ski out access.